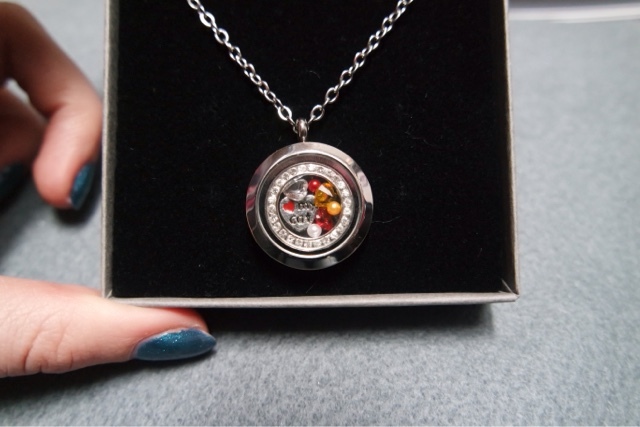 I wanted to share with you my new locket I got from www.pendiquelockets.co.uk. The picture doesn’t do it justice. It is simply stunning and I love how you can personalise them exactly how you want. You get to pick every aspect, from the chain to a back plate, to what is inside. You can have it as a necklace or a key ring and you can have it with literally any colour/theme. I chose to have one without a back plate and with a “heart my cat” charm inside, as well as different jewels/beads. This would make a great gift for any occasion as you really can personalise them exactly how you want. When you order it online you can have it arrive pre made (like mine) or have it arrive separate for you put together yourself. You can order extra bits, so lets say next month I decide I want to change the colour of the beads I can order more and swap them out myself, it is really easy to do this.